A Valley Market blog reader who works in the Environmental Health Field has contributed the following article. It was published on this site some time ago and republished several times since. I just today had to make sure all my showings for a client are cleared of chemical scents. For many home sellers and real estate agents who believe the TV commercials that claim chemical sprays “sanitize” the air, plug-ins “freshen” the air and Fragrance emitting devices actually clean the air, well…this may not be music to your ears. The savvy, health conscious home buyer has added chemical fragrances to their list of what they don’t want to smell when they are looking to buy a home. These chemical fragrances are now listed right next to mold, cigarette smoke odor and animal urine by many home buyers. buyers understand that chemical fragrances do not clean the air, they contaminate it with toxic chemicals and more often than not these chemical fragrances make people very sick. Home buyers have kids with asthma and allergies. They, themselves, might suffer from migraines, respiratory illness, cancer or fragrance sensitivity. Home buyers know that clean should not have a smell, not of disinfectant or chemical emitted fragrances . your would be buyer, the smell of your home just might be the deciding factor on why an offer was not written up. 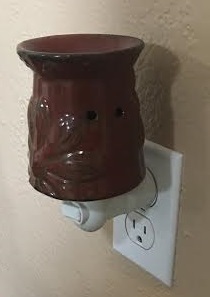 When plug in style fragrance emitting devices are used in a home, the oil / fragrance permeates the wallboard as well as flooring. Similar goes for the fragranced dryer sheets in the laundry room. These chemical odors then circulate in the air vent heating and cooling system and will never come out, no matter what you do. respiratory conditions, various cancers and allergies, house hunting can often prove to be quite a challenge. If you really want to sell your home, increase your odds of getting top dollar and more offers by discontinuing the use of fragranced products. Open your windows and let the fresh air in. Clean with non-fragranced products. Your house will then be marketable to all potential buyers… even those with health issues.